Autumn has crushed her vintage from the wine-press of the year. December has arrived, a month for family reunions, frantic shoppers, Christmas sweater parties, and the Trail of Lights. 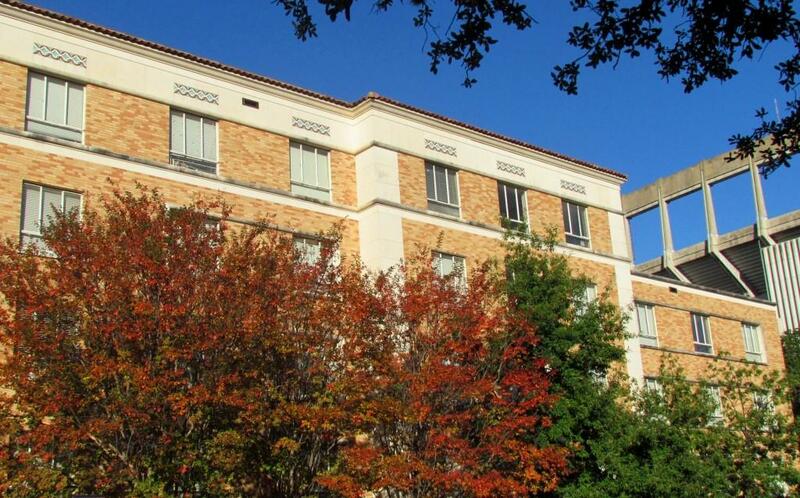 On the Forty Acres, final exams have ended and the students have fled. The deserted walks have been temporarily ceded to the campus squirrels. 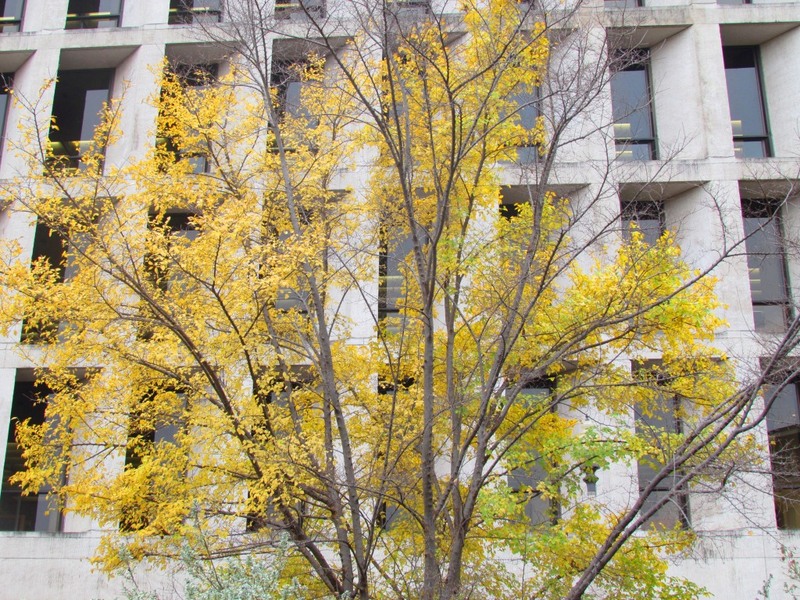 Just before the end of the semester, fall color made a brief but dazzling appearance. A balmy October and November kept the trees mostly green until the last minute, when a Thanksgiving chill prompted the leaves to turn all at once. 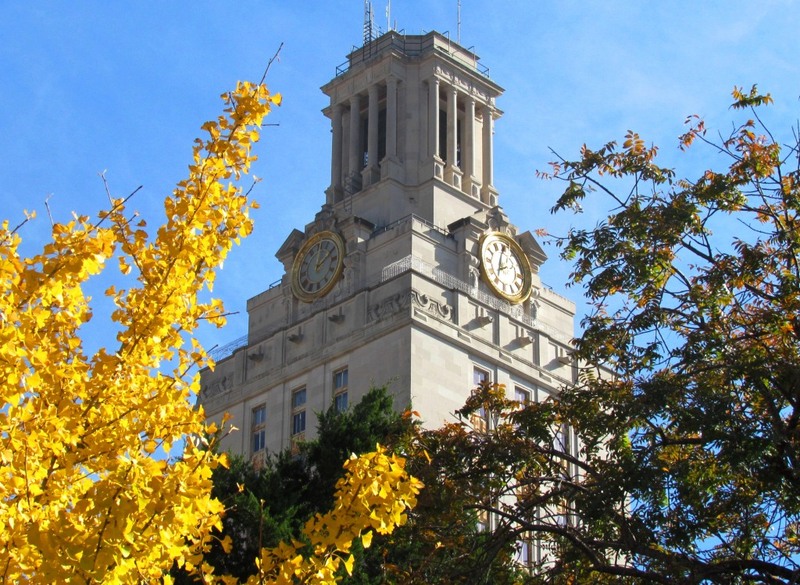 The show peaked mid-way through finals – almost too late for most of the students to enjoy it – and lasted just over a week until a Texas Norther carried much of the color away. 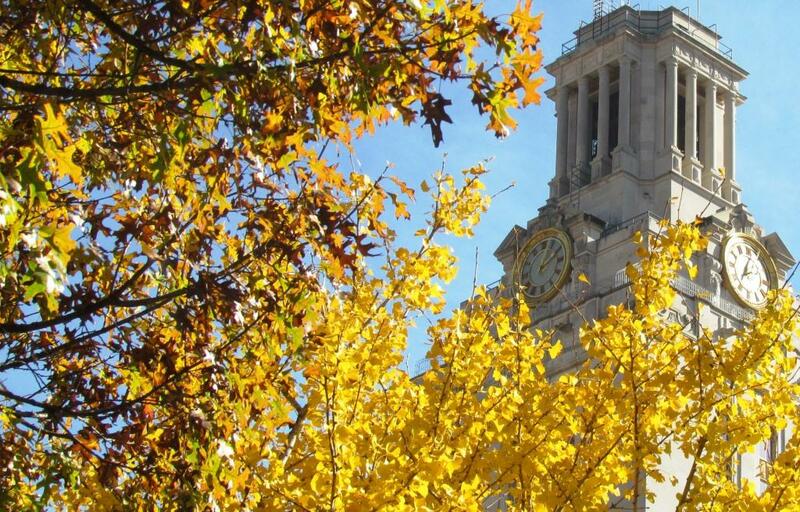 While sunny skies and warm temperatures are often the rule, it’s good to know that the UT campus does indeed experience seasons. 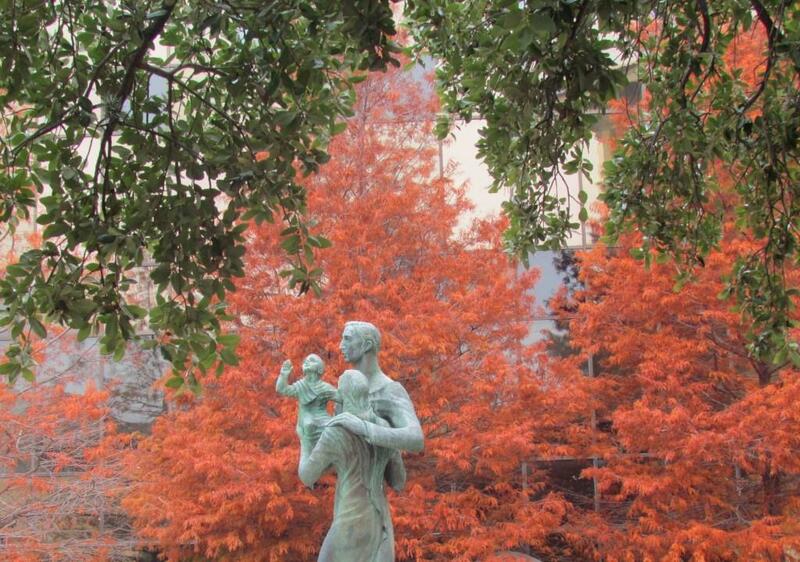 Rusty-brown cypress and the deep green of live oak provide a great contrast to frame”the Family” statue in front of the McCombs School of Business. 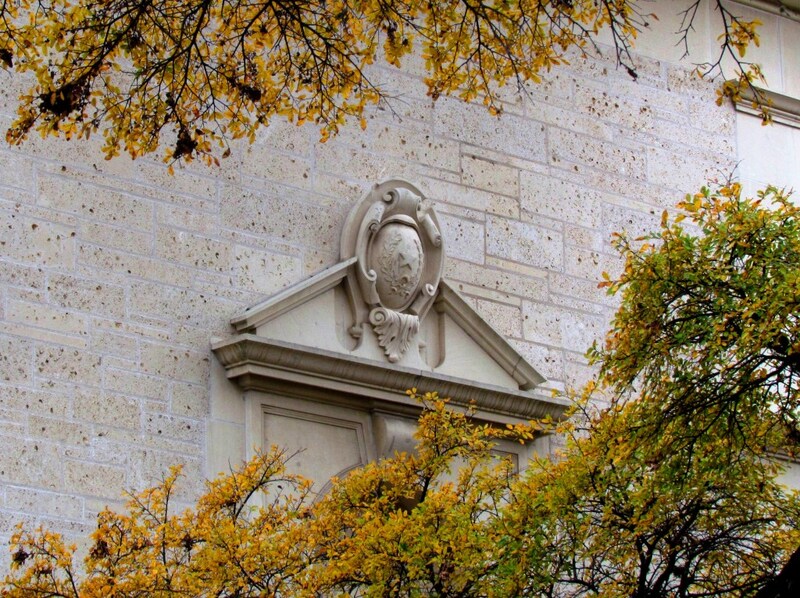 The University of Texas seal is part of a decorative pediment on the north side of Goldsmith Hall, home to the School of Architecture. 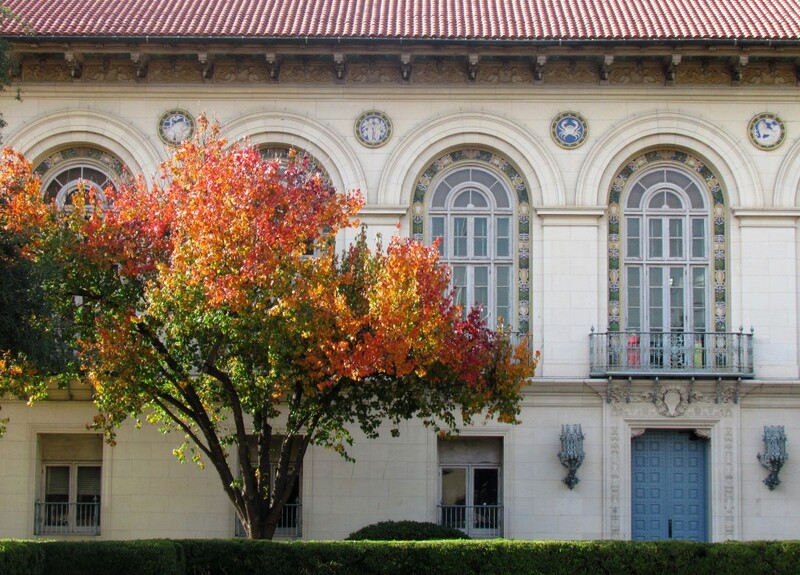 For a short time, the east entrance to Rainey Hall, on the South Mall, was full of color. 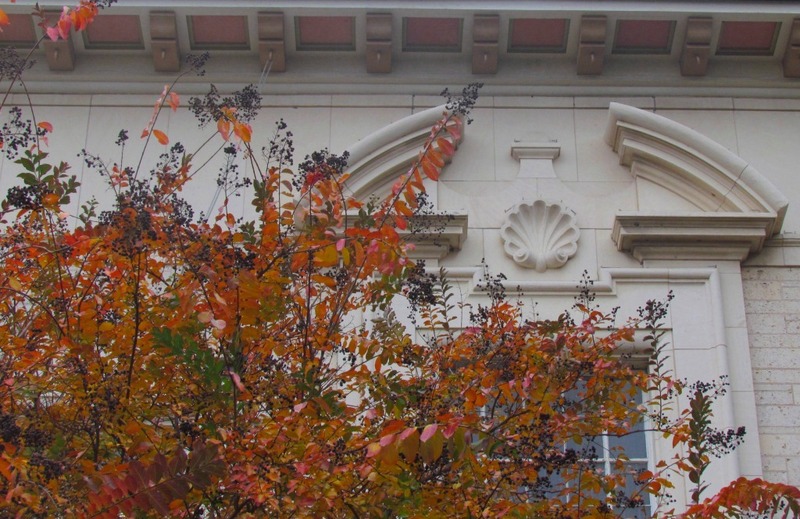 Autumn made a singular statement in front of the Perry-Castaneda Library. Ranks of windows and balconies along the north side of Sutton Hall. 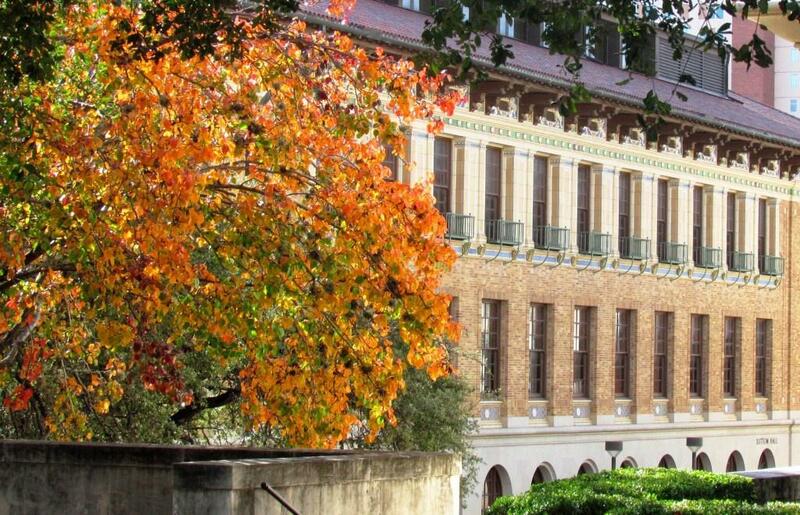 Opened in 1918 as the Education Building, construction began a century ago, in January 1917. More fall color in front of the Moore-Hill residence hall, next to the stadium. 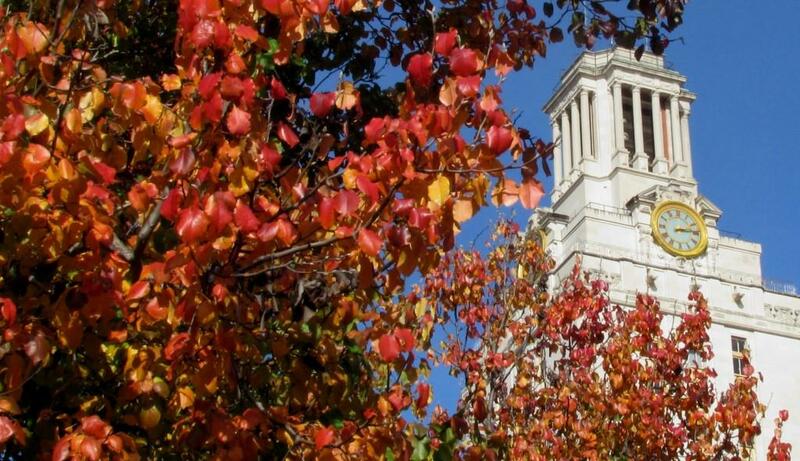 Glorious and heartwarming, thanks, Jim, for the beautiful treasure that is our campus!